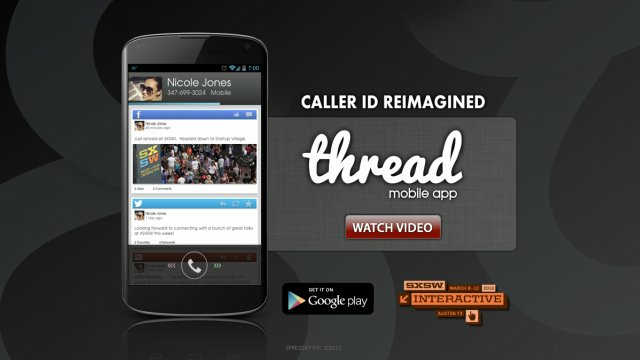 Thread is an Android application that displays a caller's recent Facebook and Twitter updates as well as your recent emails and texts with them. Having this information displayed on the incoming call screen gives you great talking points with possible reasons for the call. Interact with them on Twitter and Facebook.